When your garage door squeaking, rusted, or completely broken—call us. Instead of settling for a dilapidated door, contact Katy Overhead Doors for prompt and affordable garage door repair in Katy, TX. For more than five years, we have provided comprehensive overhead door repair for residential and commercial customers. For an on-site inspection and consultation, schedule an appointment with us today. You're tired of dealing with a broken overhead garage door. It's not only unsightly, but it if it doesn't work, it makes things inconvenient for you. There's no need to wait when you need overhead door repair. Depend on our team to respond quickly to your needs and repair your door at a price you can afford. In addition to offering fair estimates, we go out of our way to cater to your budget. Don't let price get in the way repairing your door. Allow us to assist you. Our owners have more than 10 years of experience in the industry. That means we know the most efficient way to repair an overhead door while keeping our prices low. It takes time to repair a garage door, but we are experts in the industry. For fast service, you've come to the right place. At our garage door repair service, we respond quickly to your call and complete every job in a timely fashion. Armed with proper tools and the right skills, we repair your door quickly so there is minimal disruption to your day. Where are you going to park your car if your garage door doesn't work? Keep your vehicle safe and out of the elements by trusting our team for prompt repairs. We want to ensure your possessions and vehicles are secure. So don't hesitate if your door is damaged. Depend on us for a fast response. 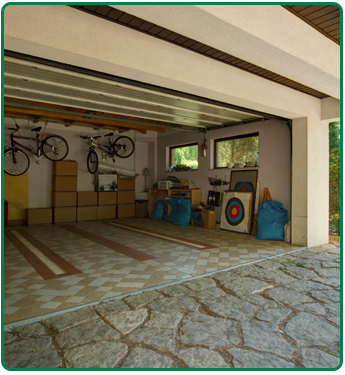 If your garage door's spring has sprung, rely on our team for garage spring repair. Since springs are responsible for lifting and closing your garage door, it's not going anywhere if you have a broken spring. At the same time, an overhead door spring must be able to lift hundreds of pounds of weight. Because it's dangerous to tamper with a door spring, you should leave the repair work to the experts at our company. Put everything back on track again. A few days ago, your garage door was operating smoothly. Now, it's having problems. Even a small bent section of the track will cause problems with your door. At the same time, a bolt or kink in the track could cause the rollers to stop moving. Allow us to set things straight again by providing garage door track repair. Contact us for prompt and affordable garage door repairs. We proudly serve residential and commercial customers in Katy, The Woodlands, Sugar Land, and Columbus, Texas, as well as in and around the surrounding areas.